Happy hump day!! The lighting hasn't been good for polish swatching the last few days, so I figured I'd show you a little something different for today. Did you know that Barielle has eye shadow palettes?? I didn't know until they sent me one as a gift over the holidays! I have been wearing this a bunch of times lately, so I thought it was time to tell you about it. 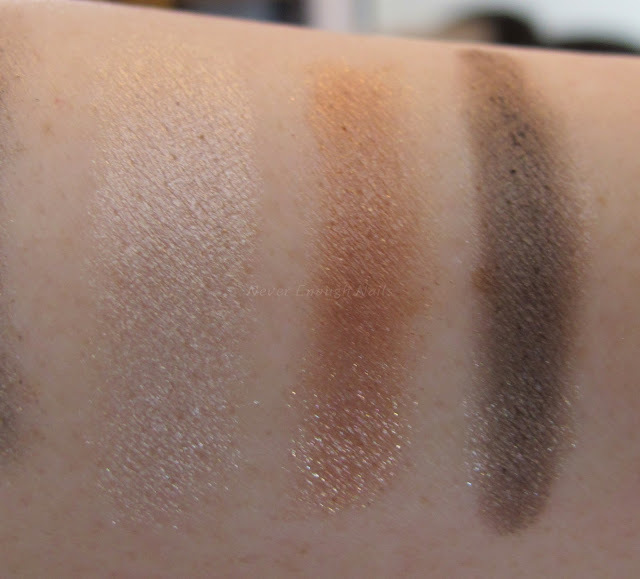 The Barielle Naturale palette is a nice selection of six gorgeous neutral eye shadows. There is a matte medium brown, a shimmering pale rose gold, a shimmering gray-taupe, a shimmering champagne, light copper with glitter flecks, and a dark shimmery brown. I like the finish on these shadows a lot. The shimmers are soft, glowing shimmers, rather than super metallic ones. 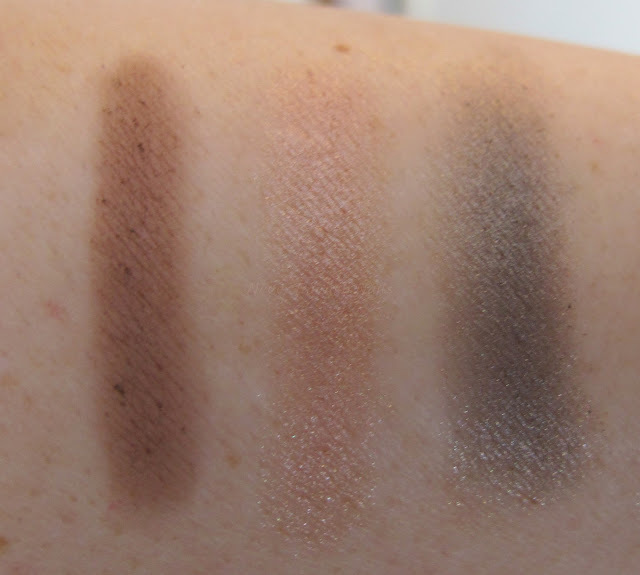 I also like that they did include a matte brown, because I always think you need to use at least one matte in your shimmery shadow looks, and this is a perfect crease shade. These swatches were done with the included foam applicator over bare skin- no primer! I have been wearing them with a Maybelline Color Tattoo or MAC Paint Pot as a base. They last for at least 8 hours with no creasing or fading for me! This palette is relatively small in size and the packaging is a light cardboard. I like both of those features, because it makes this the PERFECT palette to throw in your purse for touch-ups or taking your work makeup into the evening. As much as I love my UD Naked palettes, they are not exactly purse friendly, unless you like to tote your whole life around. This takes up only a few inches of space and weighs next to nothing! 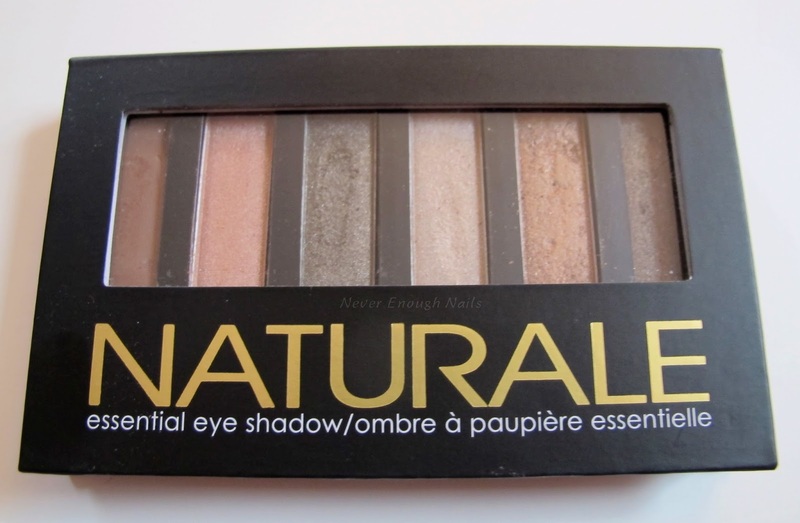 I am impressed with this eye shadow palette and am happy I got to try it. The Barielle Naturale shadow palette is available now on Barielle.com. Barielle also has some great deals and events coming up in February. Here's a list for you so you can get in on these offers!